Studying God's Word together as a group is one of the best ways to gain a fresh perspective on passages with which you may already be very familiar. Sometimes, though, groups are nervous about working through a passage because they are concerned the process may be too complex. 1. Begin by praying prayers of thanksgiving. Spend some time allowing everyone in the group to share a few things in their life for which they are thankful. These can be "big" things and "small" things. Once everyone has had a few opportunities to share, select 2-3 people to close this portion by praying prayers of thanksgiving. Before they pray, though, have someone read aloud Psalm 96:1-6. We all have virtues we'd like to develop in our life, and we all have vices we'd like to destroy in our life. The people who are around us and with whom we are sharing our life (our small group) could be our most powerful allies in these struggles... if we let them. 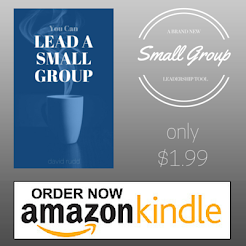 How Can a Small Group Continue to Thrive Through the Summer? Summer can be a difficult time for small groups. Should your group keep meeting? Should your group take time off? Should you do something different for the summer? Should you do nothing for the summer? I think each group needs to figure this out on their own. Your group's own culture will determine what you should do for the summer. However, I'm of the mindset that you should do something! Summer can provide several great opportunities for unique relationship building. Be sure to avoid any face-to-face time. Don’t get together for a barbeque. Don’t meet together for a few minutes at church. Don’t even set up play-dates for the kiddos. Just type out a friendly message every other week or so.